These custom tuned universal fit monitors are the best way to improve your stage sound by entering into in-ear monitors. 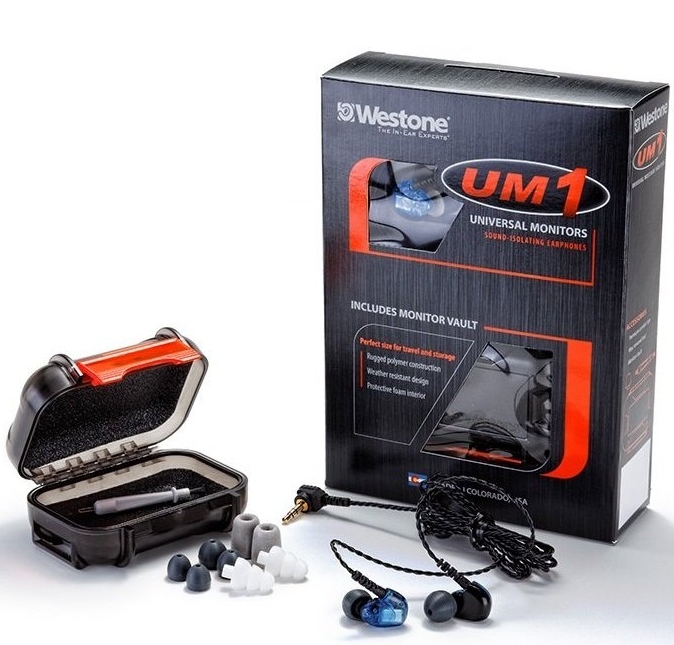 Utilizing Westone’s single-driver balanced armature technology, the UM1 provides the professional design, technology and fit that only Westone can offer. This entry level professional product will allow you to experience the hand-made in the U.S.A. design and technology, along with the exclusive Westone comfort and low-profile fit to allow for extended use -not to mention up to 25 dB of ambient noise reduction. Single-Driver Balanced Armature Technology – Ultra-accurate driver for the most dynamic sound reproduction in a universal fit in-ear monitor.